Several weeks into this project and you should be able to see from the images that it is beginning to take shape. 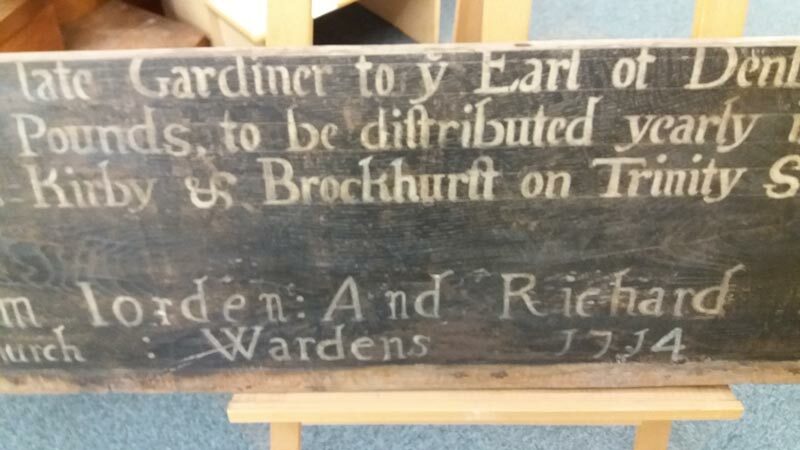 Several of the solid oak boards have been well cleaned, the lettering has been restored and wax has been applied to the surface which will protect it for years to come. 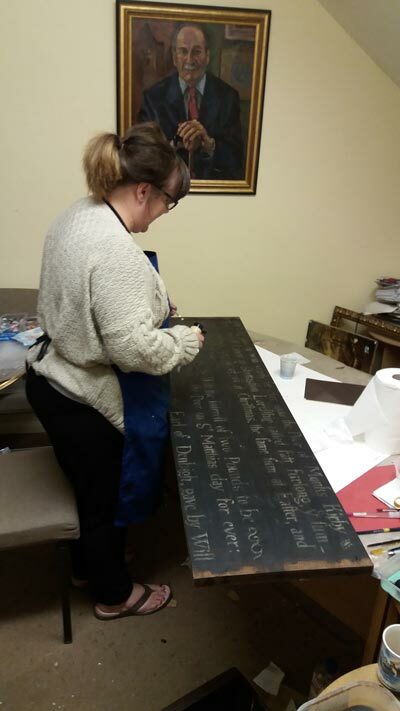 Our restorer Jayne has spent many days painstakingly renewing the lettering which has been a real challenge! 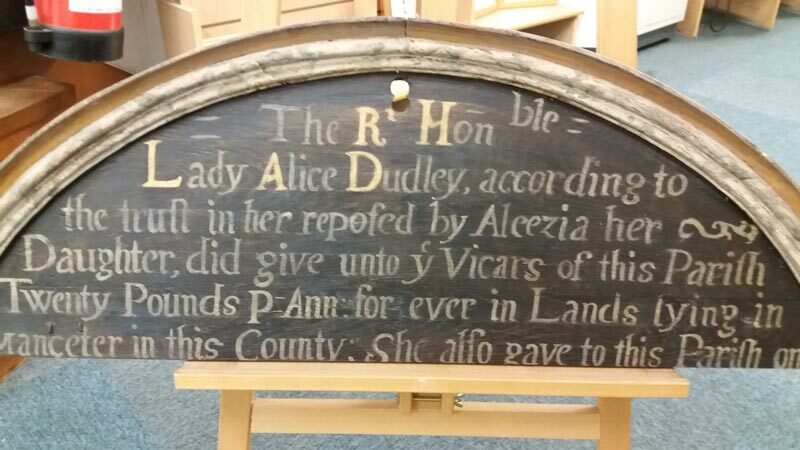 Once all of the panels are ready for hanging we will move onto restoration of the frame which will be as difficult as the work to date!